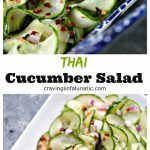 Thai Cucumber Salad is incredibly quick and easy to make. 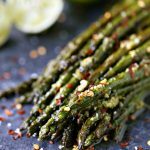 This simple recipe uses only a few ingredients but packs a serious flavour punch! 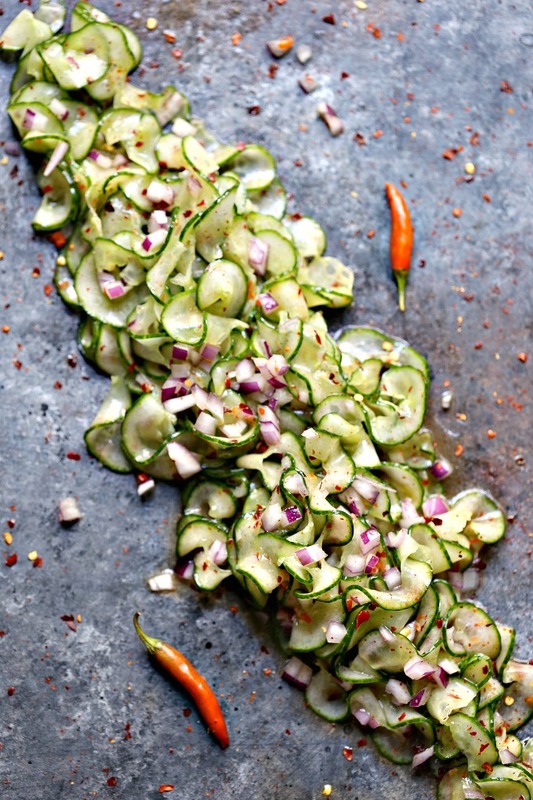 This super quick and incredibly easy Thai Cucumber Salad is a staple in our household. 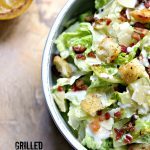 With only a few ingredients, I can easily whip this up for lunch or dinner. My daughter is a serious cucumber fanatic! 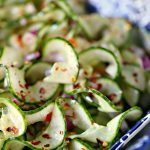 I’m always looking for fun and tasty ways to serve cucumbers as often as possible. I’m cool like that! 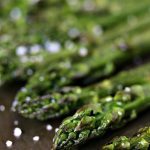 I figure if you have a kid who loves veggies you should do a happy dance and make veggie dishes every flipping day. Am I right? Both of my hooligans love fruits and vegetables. 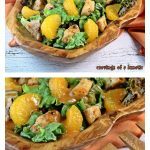 I’ll admit I’m more of a fruit lover but I dig veggie recipes too. We are the kind of family who serves 4 sides with every meal. No joke, man. If you ask anyone who has been lucky enough to have dinner at our house they will tell you we average 4-5 sides per protein. So, if I serve a sirloin roast and roast chicken for dinner there will likely be around 8-10 side dishes on the table. We’re huge carnivores but sides are our jam! Speaking of sides, I made some Lemon Roasted Fingerling Potatoes the other day. I highly recommend you give them a try! They got RAVE reviews from everyone who noshed on them! 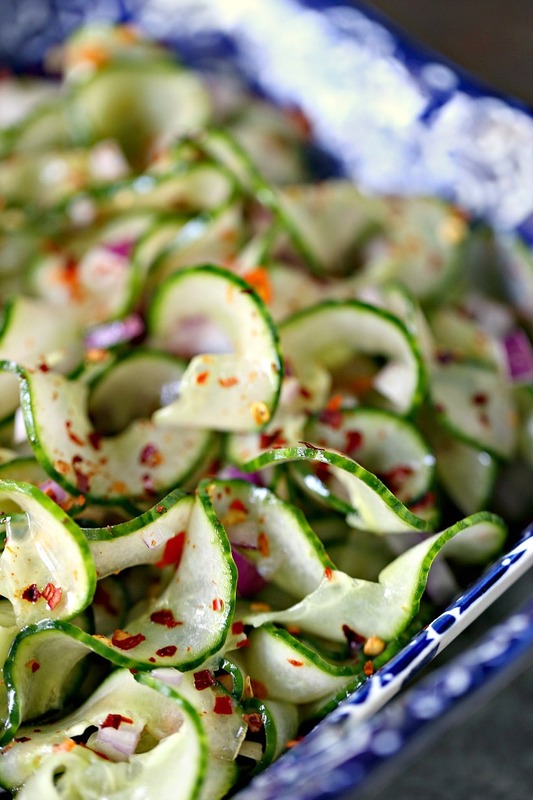 This Thai cucumber salad also got rave reviews. Originally I made this in the fall and have made it dozens of times since then. You need to give this a try as soon as possible! Combine rice vinegar, sugar, sesame oil and red Thai chile pepper in a small bowl. Mix well. 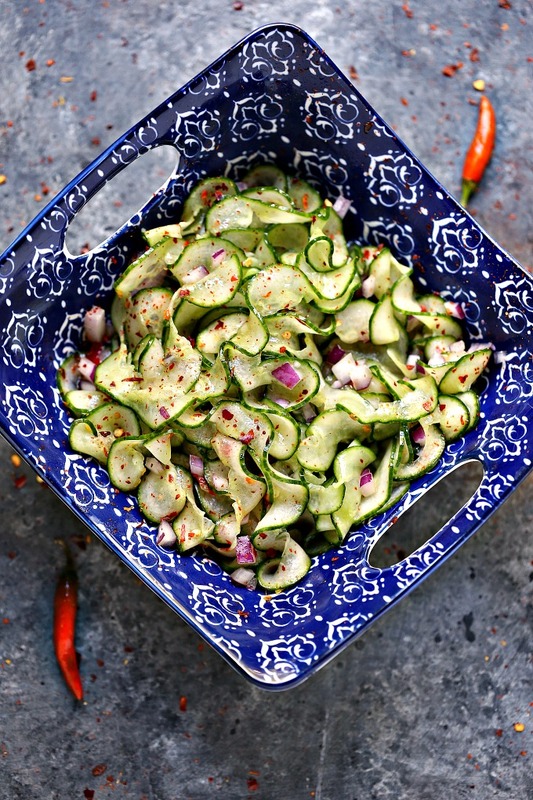 In another small bowl, combine cucumber, shallots and red pepper flakes. Mix well. Pour liquid mixture over cucumber mixture. 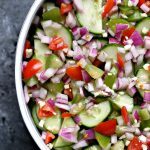 Toss until cucumbers are coated well. Place in fridge until ready to serve. Serve with a big old spicy smile! 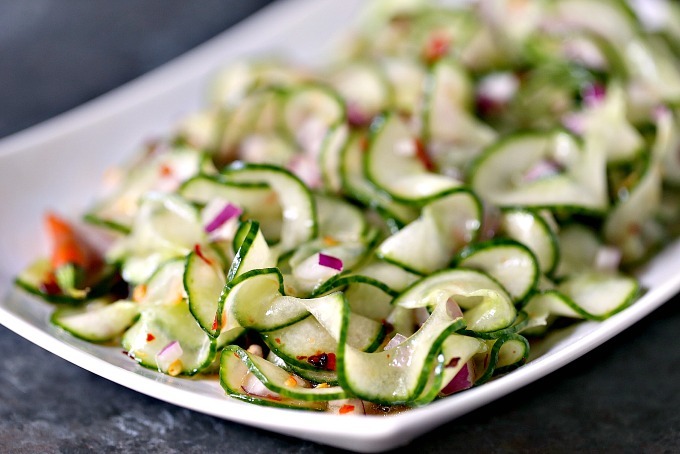 Recipe inspired by Thai Cucumber Salad and Spicy Thai Cucumber Salad from Kraft. You can add peanuts to this recipe if you like! In a pinch you can substitute salad dressing and Thai Chili sauce instead of using rice vinegar, sugar and sesame oil. I've done it on occasion and it tastes amazing!! Did you make this recipe? Please give it a star rating below or leave us a comment! 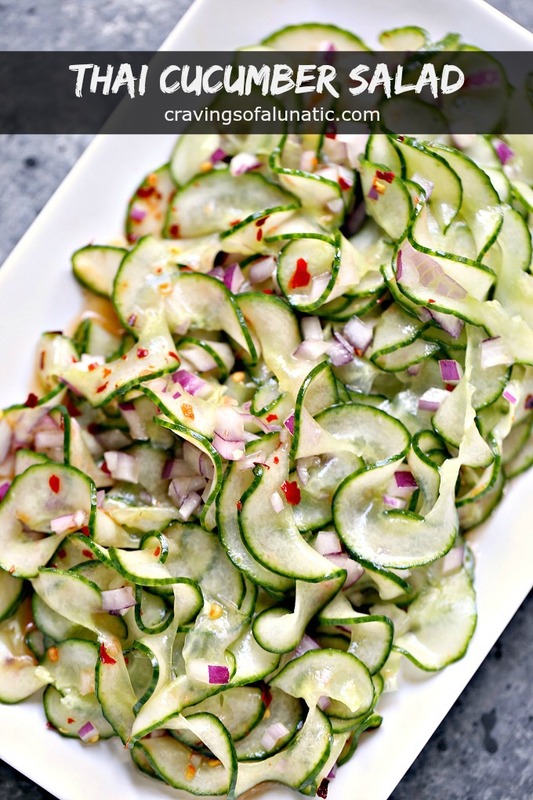 Cucumbers with a kick–LOVE it! 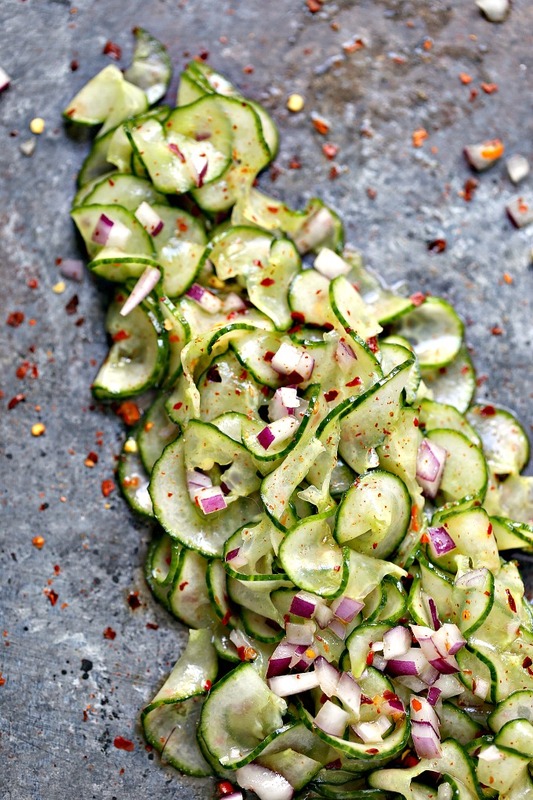 Son #4 is a huge cucumber fanatic, so I’ll have to make this for him. I’ll keep the Thai chile to myself. I can handle the heat! Would probably work to add a splash of Nam Pla (fish sauce) too I reckon….? Hi Dave. That would be awesome. Love that idea. When I’m being super lazy I use salad dressing and Thai sweet chili sauce.